Soyeon Kate’s 2018/2019 season includes recitals in Durango, Colorado at Music in the Mountains, Cooperstown Music Festival, New York’s Bargemusic, Yale University’s Horowitz Piano Series, return performances at the Santa Fe Chamber Music Festival and Connecticut’s Music Mountain Festival, and concerto performances with the Peninsula Symphony in Los Altos, CA, and Mozart’s Concerto No. 21, K. 467 with the Wheeling Symphony Orchestra. Lee has been rapturously received as guest soloist with the Cleveland Orchestra and the London Symphony Orchestra, as well as the Louisiana Philharmonic Orchestra, San Diego Symphony, symphony orchestras of Columbus, Bangor, Boca Raton, Wyoming, Bozeman, Cheyenne, Napa Valley, Scottsdale, Abilene, Naples, Santa Fe and Shreveport in the United States; the Daejeon Philharmonic Orchestra (South Korea), Ulsan Symphony Orchestra (South Korea), Orquesta de Valencia (Spain) and the Orquesta Sinfónica Nacional (Dominican Republic), including performances under the batons of Rafael Frühbeck de Burgos, Jahja Ling, Jorge Mester and Otto-Werner Mueller. Recent recital appearances include New York City programs at Carnegie Hall’s Zankel Hall and Weill Recital Hall, Merkin Concert Hall, Lincoln Center for the Performing Art’s Alice Tully Hall, Washington’s Kennedy Center for the Performing Arts, Cleveland’s Severance Hall, the Ravinia Festival’s “Rising Stars” series, Auditorio de Musica de Nacional in Madrid, tour of the Hawaiian Islands, Krannert Center, Herbst Theatre, and Finland’s Maanta Music Festival. A Naxos recording artist, her discography spans Scarlatti Sonatas, Liszt Opera Transcriptions and two volumes of Scriabin works, with upcoming releases of Clementi Sonatas, as well as another volume of Scarlatti Sonatas. Ms. Lee’s recording of Re!nvented under the E1/Entertainment One (formerly Koch Classics) label garnered her a feature review in the Gramophone Magazine and the Classical Recording Foundation’s Young Artist of the Year Award. Ms. Lee is the co-founder and artistic director of Music by the Glass, a concert series dedicated to bringing together young professionals in New York City. A Yamaha Artist, Ms. Lee is an Associate Professor of Music in Piano at the Cincinnati-College Conservatory of Music. She lives in Cincinnati with her husband, pianist Ran Dank and their children Noah and Ella. Recent recital appearances include New York City programs at Carnegie Hall’s Zankel Hall and Weill Recital Hall, Merkin Concert Hall, Lincoln Center for the Performing Art’s Alice Tully Hall, Washington’s Kennedy Center for the Performing Arts, Cleveland’s Severance Hall, the Ravinia Festival’s “Rising Stars” series, Auditorio de Musica de Nacional in Madrid—part of a 13-city tour of Spain, tour of the Hawaiian Islands, Krannert Center, Herbst Theatre, and Finland’s Maanta Music Festival. An active chamber musician, Soyeon Kate Lee frequently collaborates in many chamber music festivals throughout the United States, including the Santa Fe Chamber Music Festival and Music Mountain, and has been a member of the coveted Lincoln Center Chamber Music Society Two program where her performance of the Mozart Piano Trio was broadcast on PBS Live from Lincoln Center. A second prize and Mozart Prize winner of the 2003 Cleveland International Piano Competition and a laureate of the Santander International Piano Competition in Spain, Soyeon has worked extensively with Richard Goode, Robert McDonald, Ursula Oppens, and Jerome Lowenthal. 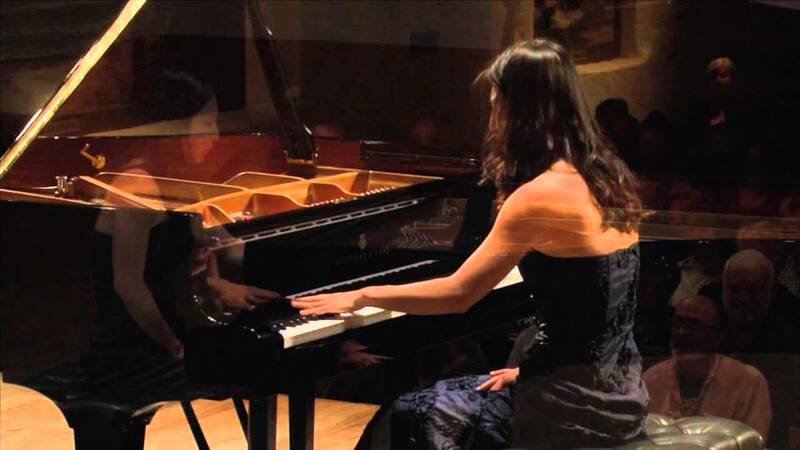 A graduate of The Juilliard School, Ms. Lee was awarded every prize given to a pianist at Juilliard, including the William Petschek Piano Debut Award at Lincoln Center and the Arthur Rubinstein Award. Pianist Soyeon Kate Lee performs at the Santa Fe Chamber Music Festival. Scriabin; Prelude and Nocturne for the Left Hand, Op. and Impromptu, Op.12, No.2. Thursday July 18, 2013. In Santa Fe New Mexico at the St. Francis Auditorium. Audio and Video by Allegro Recordings, Matthew Snyder producer and engineer. Pianist Soyeon Kate Lee performs at the Santa Fe Chamber Music Festival. Janacek, Piano Sonata 1.X.1905. Thursday July 18, 2013. In Santa Fe New Mexico at the St. Francis Auditorium. Audio and Video by Allegro Recordings, Matthew Snyder producer and engineer. Pianists Soyeon Kate Lee and Ran Dank play Stravinsky's "Rite of Spring" at Le Poisson Rouge.